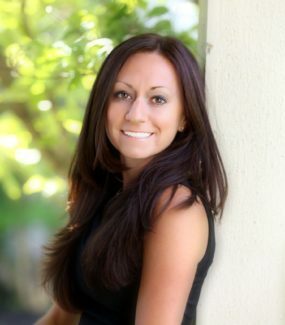 I specialize in representing buyers and sellers throughout Southeast Michigan, particularly Oakland and Macomb counties. I have experience working many aspects of the industry representing sellers, buyers, investors, tenants and landlords in the residential market. I grew up in New Jersey and hold a Bachelor’s degree in education from Rowan University. I became licensed to sell real estate in 2013 after learning the real estate business working as a short sale specialist and closing coordinator. As a licensed residential builder, I have a great deal of knowledge about homes. I have accompanied clients (and paid attention!) during countless home inspections, invested in “fixer-upper” properties myself, and done too many home improvement projects to count. My clients appreciate my honest opinions about properties we view. I have an excellent ability to use market data to understand local markets and home values. When I provide a market analysis on a home, I always provide my clients with plenty of market data along with my opinion of value. This helps them understand the way homes are priced and also sets realistic expectations, both when they are trying to sell their home or making an offer to purchase. I believe communication is the most important aspect in a real estate transaction. I pride myself in being extremely responsive to my clients’ specific wants, needs, questions, and concerns. I enjoy educating my clients about real estate processes that can be complicated at times. I am proactive and persistent throughout a real estate transaction. My ultimate goal is to provide my clients with personalized service throughout the transaction that culminates in happy, satisfied clients in the years to follow.